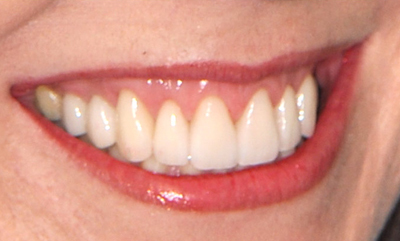 A dental crown restores the appearance and function of a tooth. If you have a tooth that is badly damaged or decayed, Dr. Weiss can beautifully restore it. A crown—sometimes referred to as a “cap”—is placed over an entire tooth to protect it and restore its appearance and function. Extensive decay – If a cavity is very large, a filling might not be enough to preserve the tooth. It can leave the tooth weak and susceptible to breaking. The protection of a crown is needed. Cracked, worn, or weak tooth – A crown will protect a tooth from further damage and help it function without discomfort. After root canal treatment, a crown is used to protect the restored tooth. Dental bridge – A dental bridge consists of dental crowns. The replacement tooth is suspended in the middle and each crown on the end covers the adjacent teeth and serves as an anchor. Dental implant – The top of a dental implant is covered with a crown. Improve shape or color – A tooth that has poor shape or color from genetics, trauma, or some other reason can be revitalized. Dr. Weiss feels that it is important for a crown to be strong but highly aesthetic—indistinguishable from your own natural tooth. He mainly uses three types of crowns, each of which has its advantage depending on the location of the damaged tooth and the situation. The e.max crown is made with a foundation of a new high-strength ceramic called lithium disilicate. This ceramic can be made with color and translucency that mimics natural teeth. However, there are limitations in the manipulation of that color, so the crown is crafted in such a way that it can be overlaid with porcelain. Read our e.max crowns page for more information. 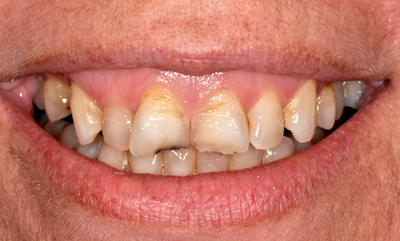 The photos below show how Dr. Weiss beautifully restored a patient’s broken, worn, and discolored teeth with crowns. In some situations, such as on back teeth, Dr. Weiss prefers using zirconia or porcelain fused to metal for greater strength. The selection is explained to the patient when appropriate. His laboratory works very hard to make the restorations look natural. When a zirconia abutment is attached to a dental implant, a zirconia crown may be secured to the abutment. If you would like to know your options for a dental crown, call us to schedule an appointment with Dr. Weiss, or request an appointment online.